With your personal Pampered Chef business, you can make the money you need with the flexible schedule you want, right from the start! A Pampered Chef business can help you get more out of life! Whether you’re looking for a flexible part-time opportunity or a new career, Pampered Chef is an ideal work-from-home party plan business. You schedule home shows around your personal life and kids schedules. The Pampered Chef, founded in 1980 by Doris Christopher and is part of the Berkshire Hathaway family of businesses, is the premier direct seller of high-quality kitchen and cooking tools. The Pampered Chef’s sales force of Independent Pampered Chef Consultants offer multipurpose cooking tools, demonstrate easy food preparation techniques and share recipes that can help you entertain with style and ease. 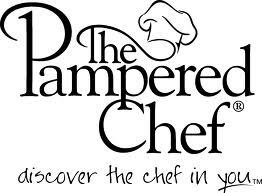 To begin working as a Pampered Chef consultant, you need to apply online or through another Pampered Chef consultant. You will need to purchase a Business Opportunity Kit, which costs $155. The kit comes with several examples of the company's product line, as well as business supplies and training. The company supplies you with continuous training, up-to-date information about the company's products, your own website, and professional business supplies for your duration as a consultant.